Amazing author events are heating up this summer at Parnassus Books! 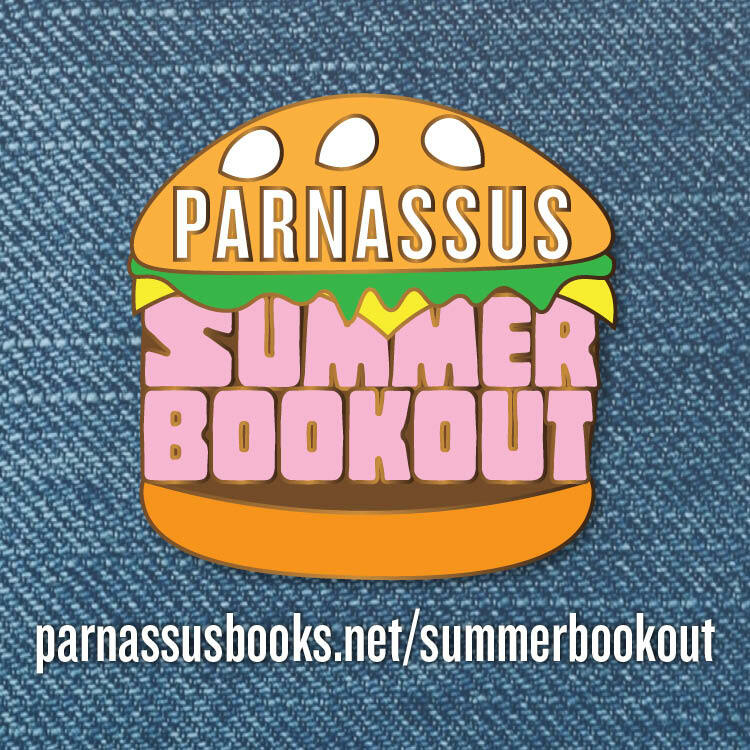 Join the Parnassus Summer Bookout: It’s all the fun of summer cookouts, but with books instead of burgers! Pick up a FREE punch card at the bookstore any time starting Friday, May 18. Attend five or more eligible events and have a bookseller punch your card while you’re at each event -- no book purchase necessary! Once your card has been punched THREE times, fill in your name and contact info and return it to Parnassus. You’ll be entered to win one of three incredible prize packages, full of surprises, special bookish items, and signed books. All raffle entries are due to Parnassus by Saturday, June 30th, at 8pm. The raffle winners will be drawn and notified Sunday, July 1, by 12pm. You must be able to pick up your prize at the store to win. Here’s the full menu for the Parnassus Summer Bookout. Remember: All you have to do is attend and have a bookseller punch your card! Events Menu -- Attend 3 of these events to enter the Summer Bookout raffle!